All Track Transportation is a leading container transport company, based out of Surrey, British Columbia. We provide service to all ports in British Columbia, Washington, and Oregon. 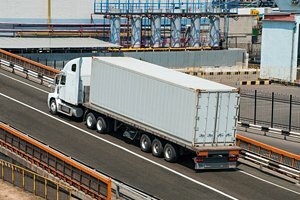 With over 40 years of combined experience in cross-border trucking, we have established a solid reputation amongst our customers who know they can count on our steadfast, reliable service. Alongside this experience, All Track Transportation is a U.S. and Canada customs bonded carrier, further demonstrating our familiarity and comfort operating within the container transport industry. Regardless of your company’s trucking transportation needs, we’ve got you covered! 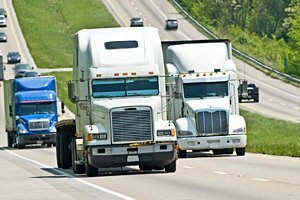 Why Choose All Track Transportation to Meet Your Company’s Trucking Needs? At All Track Transportation, we have the experience you’re looking for in a successful container transport company. 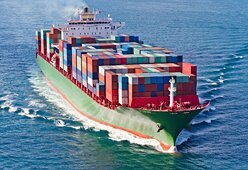 We have a proven track record of navigating the industry well, and are the optimal carrier company for import and export in the Pacific Northwest. We offer daily service between British Columbia, Washington, and Oregon with specialized equipment. Our equipment consists of 5 axle super chassis, capable of hauling 58,000 pounds of cargo. We also provide our customers with gensets for refrigerated containers. Alongside all of our experience in cross-border container transport, All Track Transport also makes sure that all of our drivers are HAZMAT certified. 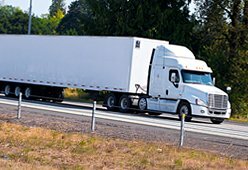 Due to All Track Transportation’s proximity to many ports in the Pacific Northwest, our overall experience dealing in cross-border trucking transport is extensive. Along with our knowledge of operating the routes and ports in our service area, we also know the logistics of everything that goes with cross-border transport. As a U.S. and Canada customs bonded carrier, we provide a completed range of cross-border services. 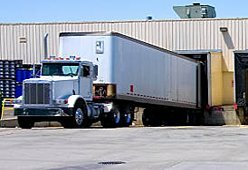 Our freight trucking and shipping capabilities are extensive, and we can provide for any of your company’s trucking and transportation needs. Whether your company needs encompass a short haul, LTL shipment nearby or your company requires a heavy haul, refrigerated shipment destined for cross-border delivery, All Track Transportation is here to cover those needs. We have established relationships with our current customers who know they have a solid company looking after their shipping needs. All Track Transportation is reliable and experienced in the world of cross-border and domestic shipping. If your company is interested in learning more about the container transport services All Track Transportation can provide, contact our shipping container transport company online or by phone at 604-575-9495. 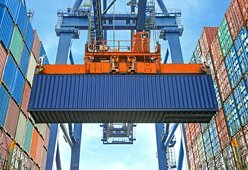 You can speak with one of our container transport specialists to discuss your trucking needs. We are here to help solve your company’s cross-border shipping problems and are ready to make a difference for you today! We are a premiere container hauling trucking company based out of Surrey, BC, specializing in cross-border container transport and trucking between the United States and Canada. We service all ports in British Columbia, Washington, and Oregon. With over 40 years of combined experience in border crossing trucking, we provide professional and reliable services.